Retiring and moving to Florida is a dream for many workers. What’s more, if a retiree is lucky, they will have enough money saved to be financially secure. But with the economy being so stagnant lately, many retirees need to take on a job to make ends meet. One option is locksmithing. With locksmithing, you get to help others. Even better, you can work your own hours. What’s more, you can be a locksmith in West Palm Beach, Tallahassee, or anywhere in the state you choose. Florida doesn’t require extensive certification like other states. Following are some of the requirements and other benefits for retirees wanting to become a locksmith in the sunshine state. Being a locksmith is great for people who enjoy helping others. A locksmith regularly helps people who are locked out of their car, home, or business. They also can help business owners get into safes they have forgotten the combination for. It’s always a plus to see a smile on a customer’s face because you could help them out. It is also a great career for people who enjoy puzzles and taking apart and rebuilding mechanical devices. Picking locks requires an eye for detail. That’s because you will be dealing with very small parts that at times you can only feel. Every situation is different. However, good locksmiths relish the chance to problem solve tricky locks. Experience makes the solutions to many problems second nature. The best locksmiths know the type of lock or key needed by sight because of working on that type previously. People who are locked out or can’t get into something locked usually are frustrated and in a bad mood. Being a people person helps locksmiths to defuse the situation and get customers to relax. What Requirements and Certifications Will You Need in Florida? To become a locksmith in Florida you will need to be at least 18 years old. Further, you must not have a criminal record, and you need to be able to pass an FBI background check. However, there are waivers available for potential locksmiths who have received misdemeanors if that is an issue. Each certification level requires passing a certification exam with a score of 70% or better. What Are the Different Types of Locksmithing Services? Locks are necessary to keep entrances secure. Options include key locks, keypads, and card swipe locks. A locksmith can change the locks or pass code and provide enough keys for everyone who needs access. Locks usually can last for years. At times, however, locks may need repair. For example, keys sometimes break off in the lock or the latch mechanism sticks. 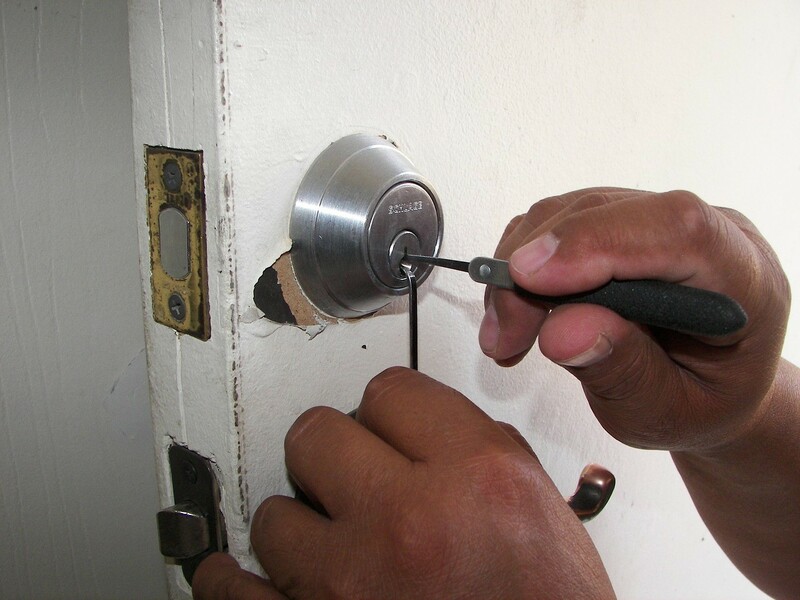 A locksmith can determine if the lock can be repaired on the spot or if it needs to be replaced. Locksmiths have machines that can cut a new key in case one is lost or has broken in the lock. If someone finds themselves locked out of their home or office a locksmith can unlock a door. Then the person can either find the key or determine if a new one is needed. This can occur at any time. Therefore, providing this service 24 hours a day is important. Modern cars use specialized keys. However, locksmiths can open cars and cut keys for almost all cars. The main reason for having a lock is to protect your assets. A good locksmith knows about the different types of locks and the level of security they provide. What Are the Benefits of Being a Locksmith? Ideally, a new locksmith will train under someone until they become adept enough to open their own company. Once this occurs you will be able to create your own schedule. However, nights, weekends, and holidays are the most lucrative times to work as a locksmith. Another benefit of being a locksmith is that you can turn your home into your office. This can give you a break on your taxes. Lastly, being a locksmith will allow you to be your own boss. You can run your business from anywhere in the state. Therefore, your success or failure will fall squarely on your shoulders. Locksmithing is a great career idea for retirees. It will enable you to be your own boss while performing a needed benefit for others. While it may take a little personal investment to get started, the results will be worth it.